I would be interested in serving as a Champion Advocate on pharmacy issues in my legislative district? Online registration will close on January 23rd at 11:59 pm CST. 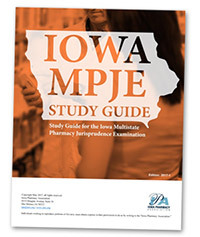 To register after that please call the Iowa Pharmacy Association between 8:00 am - 4:30 pm CST. After Monday, January 28th all registrations will need to be done at the door. After January 23rd, $25.00 will be added to all registrations.